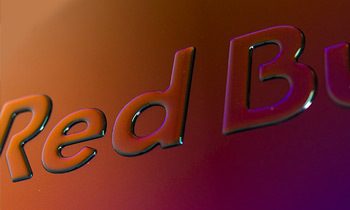 Liquid Lens will be exhibiting at Sign & Digital UK at the NEC in Birmingham this April. 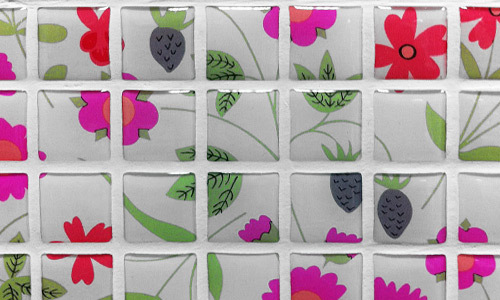 Produce any shape, any size full-colour digital mosaic tiles for use in kitchens, bathrooms and retail displays. Produce 3D extruded signs for both indoor and outdoor applications and 3D graphics for vehicles in conjunction with body wrap vinyl. High value, road legal 3D number plates with a choice of coloured frames. In addition our soft and hard resins are in the final stages of development and should be available from April 2019. 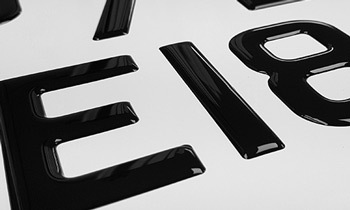 Branded “flex” for soft and bendy resin, and “rigid” for the hard like glass finish. We will have examples of both at the show. Come and see us between 2nd – 4th April on stand P18!